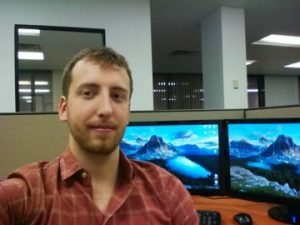 My name is Ryan and I graduated from Saint Joseph’s in 2015, where I majored in Physics and Computer Science. While at Saint Joe’s I learned about physics, computers, and mathematics. However, the most important thing I learned, was to push myself; and that work ethic is something that has helped me in every aspect of my life. Currently I’m working at Bottomline Technologies in the CyberFraud and Risk Management department as a Software Implementation Engineer. My responsibilities include customizing and adding functionality to our software products to meet the needs of our clients, to ensure the security of their financials.